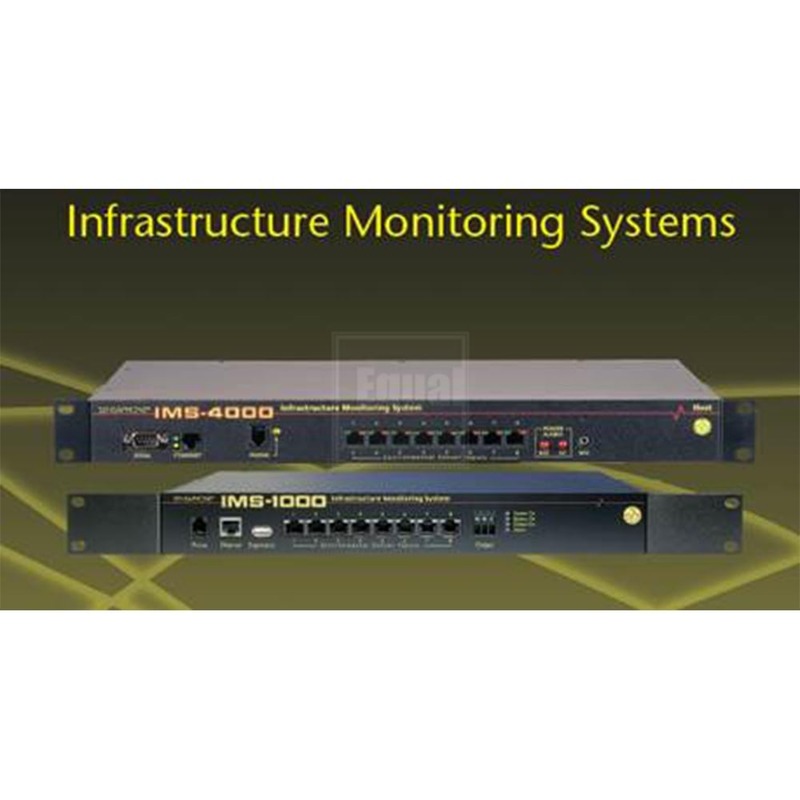 The Internal 3G Modem provides global wireless access to the internal and email on GSM / GPRS / EDGE / 3G capable networks. 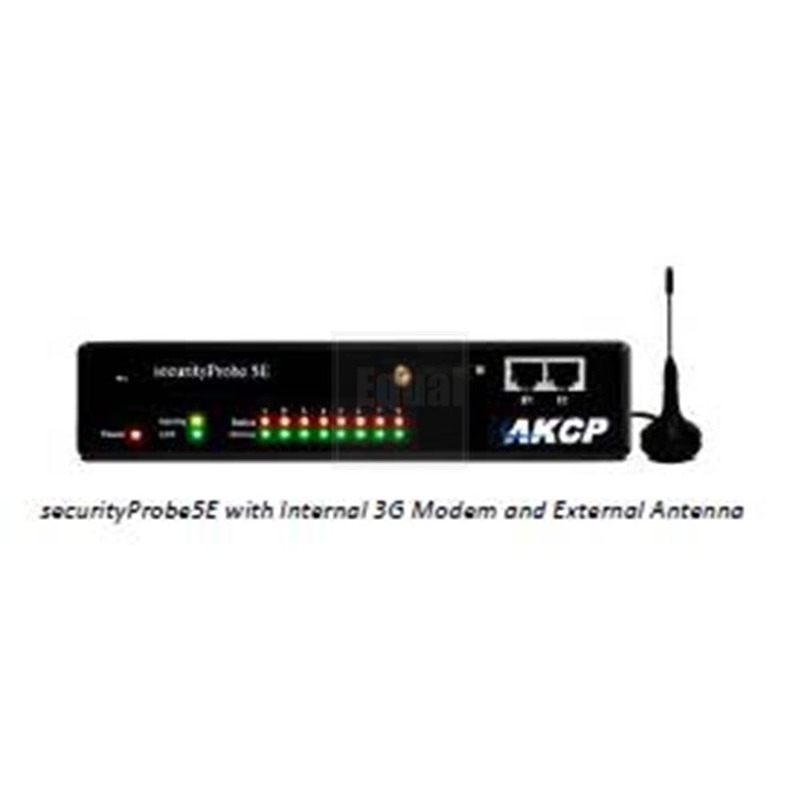 With this modem, your securityProbe unit can connect to the internal using your local GSM, GPRS, EDGE or 3G Service. The Internal 3G Modem takes DC power directly from the securityProbe, so no charging device or external AC/DC adapter is required. 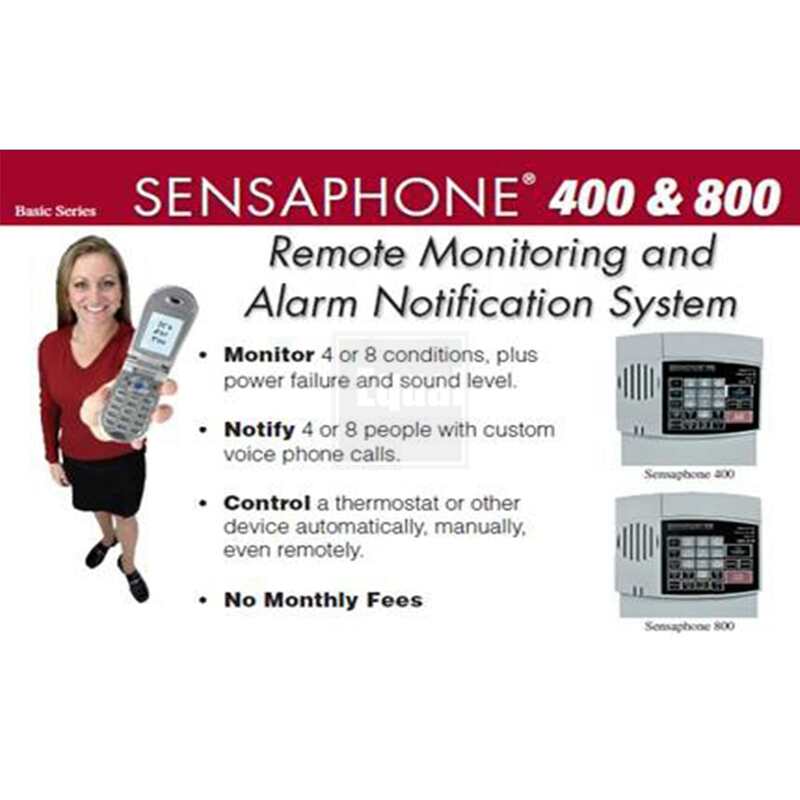 For small businesses and property owners, the Sensaphone 400 offers an easy, inexpensive way to monitor your remote facility, cabin or vacation home. 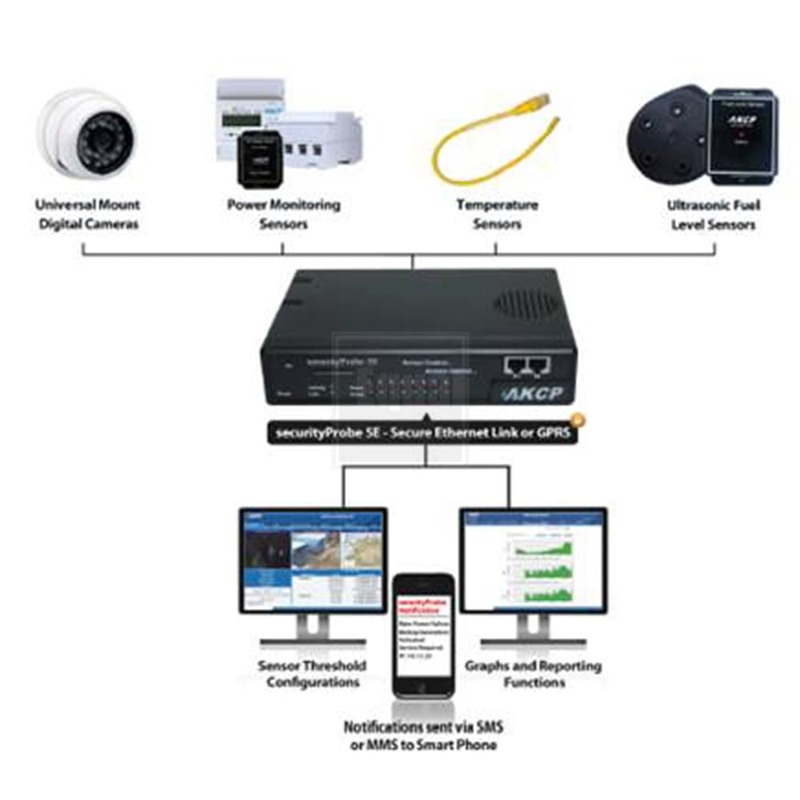 Installed in a clean indoor environment, it has built-in monitoring for power failures, temperature, and sound monitoring of audible alarms. 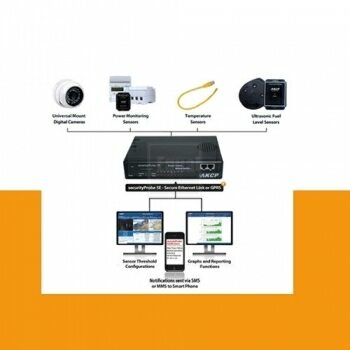 Four external inputs on the back can be connected to various external sensors to monitor temperature, water on the fl oor, humidity, intrusion and more. 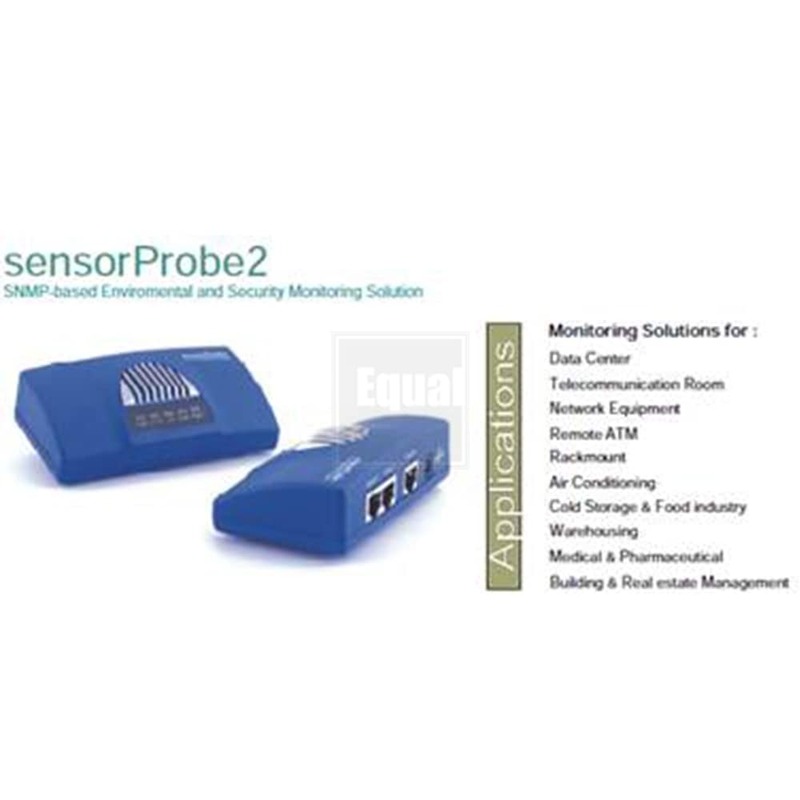 Simple, Accurate and Rugged, sensorProbe2 is a low cost SNMP enable and Web-based Environmental Monitoring Device. 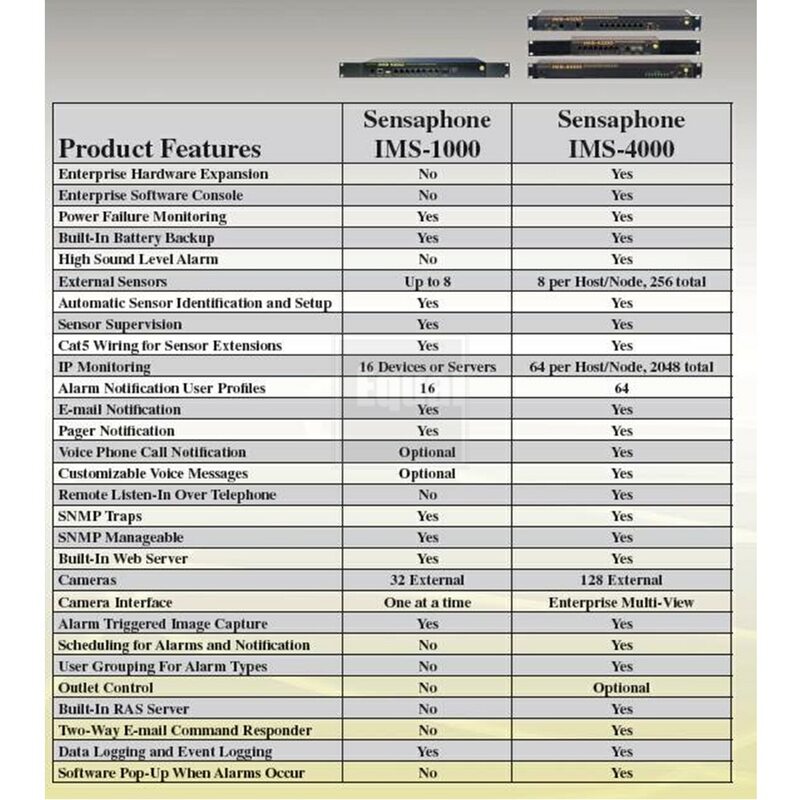 It is based on years of industry experience. It is ready to run right out of the box. 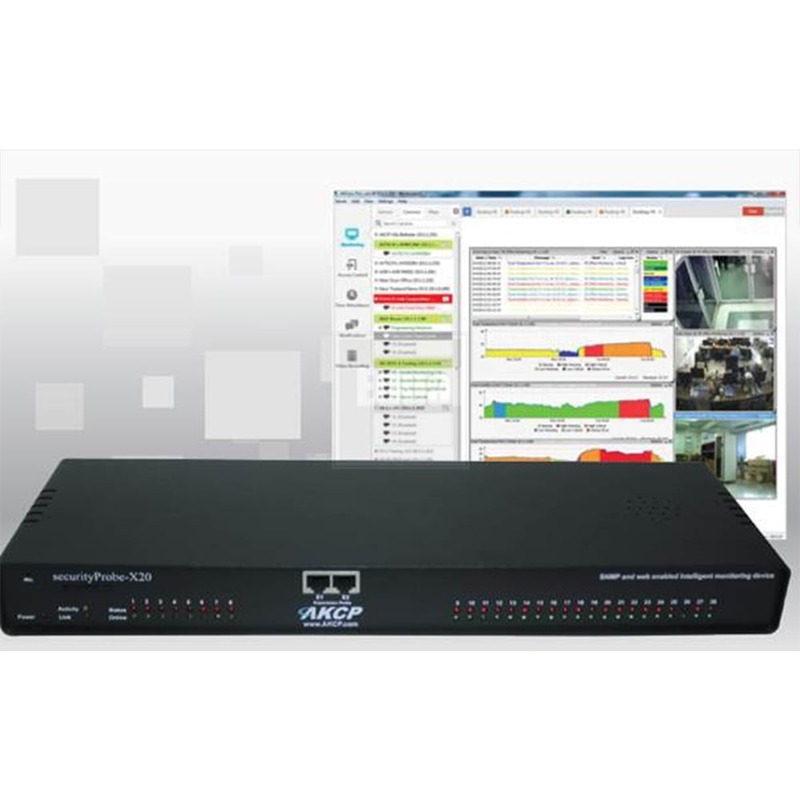 Simply assign the IP address and connect to the embedded webserver. 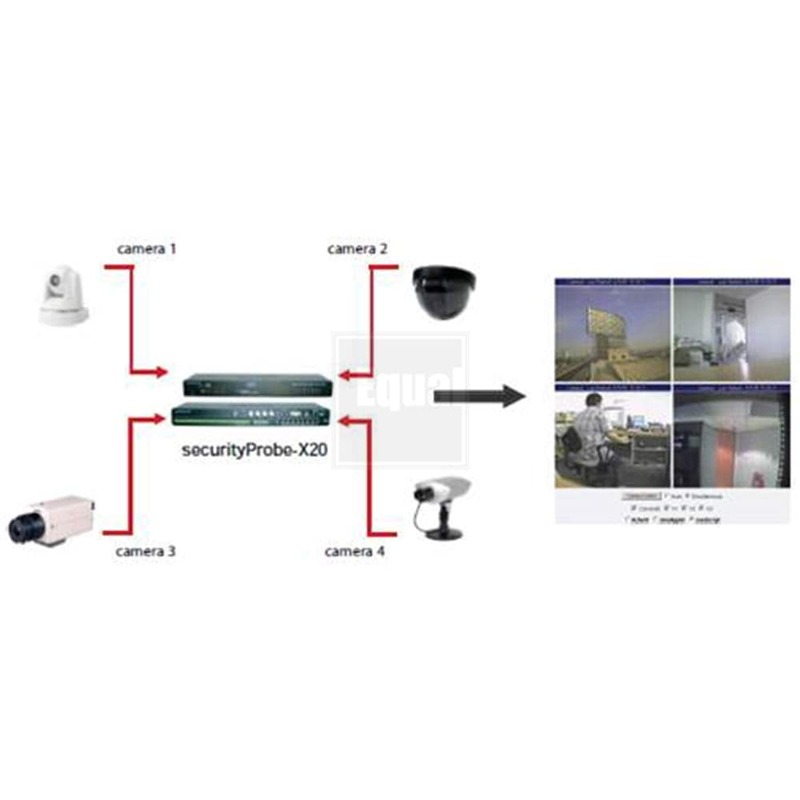 securityProbe5E-X20 securityProbe 5E-X20 Monitor the physical environment and receive alerts of any disturbances, such as unauthorized intruders, security breaches, high temperatures, smoke, water leakages, power outages and more. 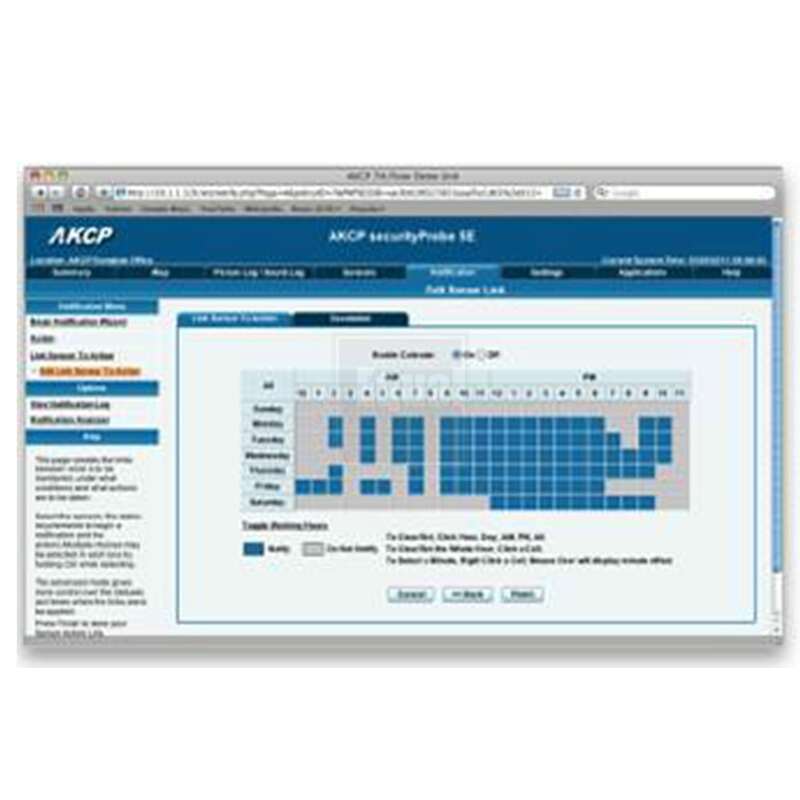 Compatible with all of the AKCP range of Intelligent Sensors it provides a complete environmental, access control and security monitoring solution.